Thursday, Feb. 14, 7:30 p.m.
Saturday, Feb. 16, 7 p.m. In this day and age, power outages don’t seem to last very long. That statement seems to hold true both inside and out of Amelie Arena, particularly for the Tampa Bay Lightning. 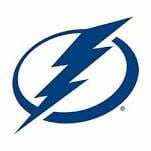 Upon returning from a 10-day layoff that included the team’s bye week and the NHL All Star game, the Lightning scored only nine goals in five games, going scoreless in regulation twice in that stretch. To add to that offensive uncertainty, NHL leading point scorer Nakita Kucherov was in a goal-scoring slump and the league’s top power play was sagging. 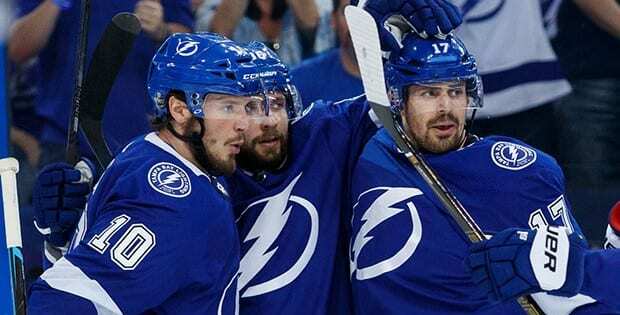 After back-to-back losses at home last week to Vegas and St. Louis in which the team scored only two goals, the Bolts turned the juice back on and have averaged more than five goals a game in putting together a three-game winning streak. 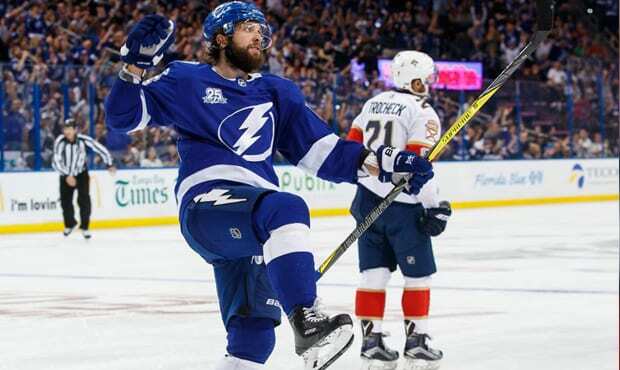 Kucherov rekindled his relationship with the back of the net in those wins – scoring a pair of goals at Florida and one at home against Calgary – while the Lightning power play was 2-for-4 at Florida and accounted for two goals against the Flames. 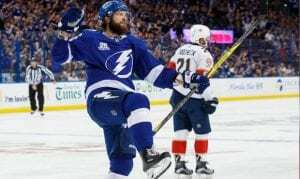 Tampa’s 6-3 win against Calgary – the second-best team in the NHL’s Western Conference – began a week that will see three playoff contenders at Amalie Arena to take on the NHL’s top team. Fresh off a 3-0 shutout of Florida on Tuesday, the Dallas Stars will finish up their season series with Tampa on Thursday night before the Bolts clash with the Montreal Canadiens on Saturday. Who’s Hot: Backup goalie Louis Domingue set a team record with his 10h-straight win after he held Florida to a pair of goals in a 5-2 Tampa win on Sunday. His win gave Tampa its 41st of the season and helped mark the sixth-straight season the Lightning have won at least 40 games. Who’s Not: Despite being third on the team with 66 points this season, captain Steven Stamkos has been on the ice for more opponent goals than Lightning goals this year. Stamkos is – 3 in the plus-minus category. He has not been on the negative side of goal differential for the past five seasons and has been there only three previous times in his career. Currently third in the NHL’s Central Division, the Stars are looking to hang on to a playoff spot. Trailing Nashville for second place in the division by eight points, Dallas will need a tremendous charge to improve its position in the playoff race. With St. Louis two points back and Minnesota four points behind, the Stars are closer to losing their playoff spot than moving up a notch. Dallas is the fourth-lowest scoring team in the league but has given up the least amount of goals to opposing teams. Despite a 3-0 win at Florida on Tuesday, Dallas has struggled on the road this season, posting an 11-14-3 record away from home. The Stars are looking to turn that stat around after winning three of their last four road contests. Goalie Anton Khudobin earned the shutout against Florida and gave up only two goals in the team’s first meeting with Tampa. He has received the call in net for the Stars in their last three games, filling in for former Tampa goalie Ben Bishop who is recovering from an upper body injury. On the offensive side, Tyler Seguin – who scored twice at Florida – leads Dallas with 24 goals and 54 points overall. Montreal has collected points in nine of its last 10 games and looks to maintain its No. 1 wild card spot in the Eastern Conference when it travels to Tampa Saturday night. The Canadiens have given up the fourth fewest amount of goals in the league and rely heavily on goalie Carey Price, who has played in 42 of the team’s 56 games this year. Price has a 2.55 GAA but gave up four goals in his only contest against the Bolts earlier this year. Montreal has four players with at least 40 points this season, including former Lightning forward Jonathan Drouin, who is tied for second on the team with 29 assists and ranks second overall with 46 points. Brendan Gallagher leads the Canadiens with 22 goals, while max Domi is tops overall on the quad with 49 points. Tampa remains in-state when it travels to South Florida on Sunday evening to face the Panthers at 6 p.m. before hosting Calgary, Dallas and Montreal next week.